Our eyes do not just see; they speak — about who you are and how you feel. Eyebags, dark circles and hollowing which are a natural result of aging can give us that “tired eyes” look, even if we are sleeping just fine. Fortunately, New Radiance Cosmetic Center of St. Lucie has developed our Radiant Eye Rejuvenation with you in mind. What some may not know is that Dr. Avron Lipschitz, MD has perfected dermal filler and micro-cannula techniques for the tear trough areas around the delicate eyes that can turn back the clock and make your eyes look refreshed and young again. This is the eye treatment that has everyone talking. Tear troughs are depressions running from the nose and under the eyes, which deepen as we get older. Aging faces thus develop lower eye bags and dark circles. In the past, it was thought that only surgery could improve the eye bags. Eye rejuvenation can dramatically improve your entire eye area non-surgically, with results lasting 12-18 months using the latest micro cannula filler techniques. *Please note that with all procedures individual results will vary and may not exactly match Before & Afters. 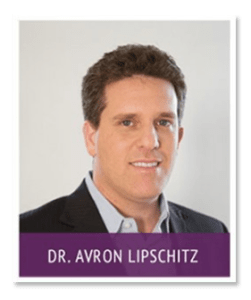 Dr. Avron Lipschitz is a veteran plastic surgeon who has focused on aesthetic medicine for nearly the last 15 years and has many years of experience. Dr. Lipschitz is a Board Certified Plastic Surgeon and Johns Hopkins trained. His work with Dermal Fillers ( Botox ) gets compliments from every patient. Dr. Avron believes, “the goal of plastic surgery should be to help you feel better and healthier” and, he has trained extensively in the treatment eyes with fillers. He has been successfully treating hollow and sunken eyes using advanced techniques such as tear trough injections with micro cannulas and is in great demand. His has also worked at New York’s Manhattan Eye & Ear Infirmary with the world’s leading surgeons. This is one of the most exciting advances in cosmetic and aesthetic medicine and one of our biggest specialties. Also known as the tear trough procedure, this is a procedure with a real wow factor. Finally patients with eyebags, dark circles and a loss of volume in the area below the eye can be very successfully treated with a careful and intricate application of hyaluronic acid fillers. And Dr. Lipschitz knows… not only has he operated at some of the most prestigious medical institutions in the country but has also been featured in Stuart Magazine as one of the top local surgeons. When it is your eyes at stake you want the best – Dr. Avron Lipschitz knows eyes. The area treated is not very sensitive. Pain and swelling is quite minimal, usually requiring no topical anesthetic. Dr. Avron Lipschitz, has years of experience with dermal fillers including Radiesse, Restylane, Sculptra, Juvederm, and Belotero and is also an expert BOTOX botulinum injector, any of which may be used during this procedure. * To ease and elevate bruising a possible side affect of these treatments, you should you stop taking Aspirin, Garlic supplements, Fish Oil, Vitamin E, and any and all blood thinners within 48 hours of your appointment.